Jim Clemens Collection No.19. Archive film of the railways in South Wales and the Forest of Dean featuring the Vale of Neath line from PONTYPOOL ROAD to NEATH. 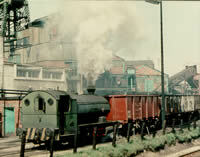 There is a section using a railtour with panniers to BLAENGARW, CAERAU and LLANTRISANT in 1960. The Forest of Dean lines cover LYDNEY, PARKEND, COLEFORD and CINDERFORD with an auto train in 1962 also visiting Sharpness viewing the damaged Severn Bridge. 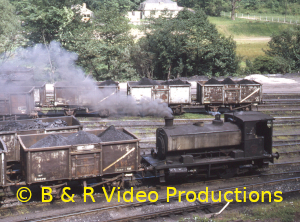 Class 14 diesels work freight to WHITECLIFF QUARRY and Coleford via PARKEND followed by another freight trip from BULLO PILL to CINDERFORD before the line closed in 1967. Complete coverage of the PONTYPOOL ROAD to NEATH line with steam in 1964 before the line lost its passenger service over this spectacular route. Travel via HAFODYRYNYS, CRUMLIN, HENGOED, NELSON, DOWLAIS CAE HARRIS, MOUNTAIN ASH, ABERDARE and RESOLVEN. 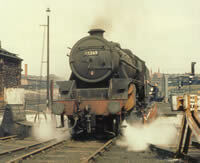 There are also visits to NCB collieries at Hafodyrynys and Mountain Ash, the latter with an ex-GWR pannier tank. 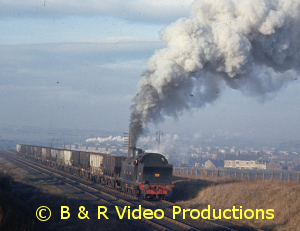 Filmed mainly in colour this production takes a fascinating and nostalgic look back at the steam scene of the 1960′s.